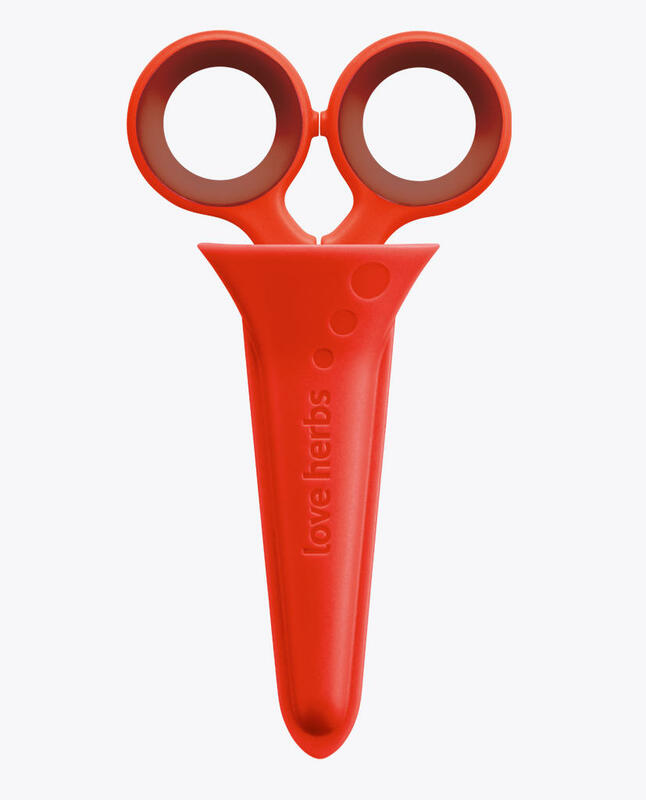 love herbs™ – are harvesting herb scissors for snipping sprigs from the pot. They are unique in that they have a specially designed ‘scabbard’ or holder that stabs into the soil at the base of the plant. This means that they can be kept in your herb pot and are always there ready to use – in the right place – just when you need them. 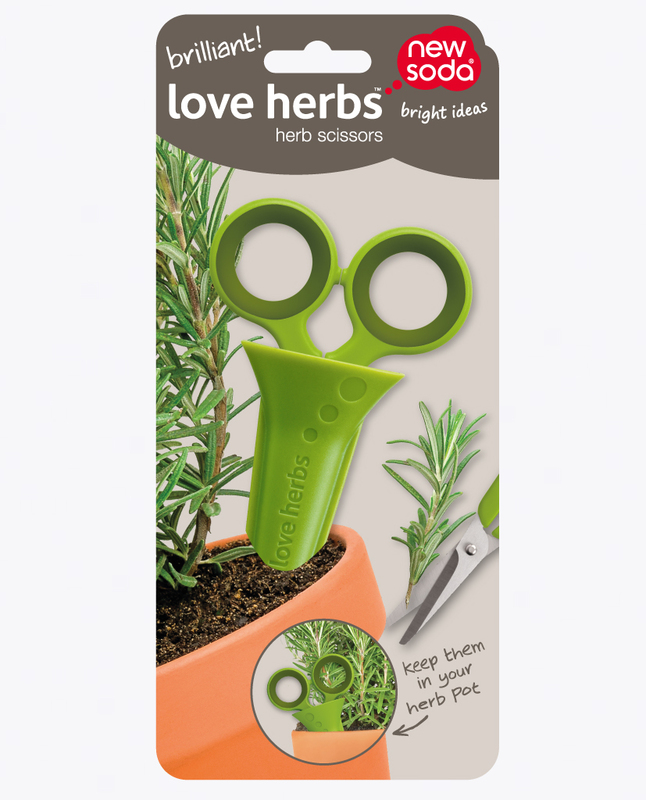 The high chromium content stainless steel blades are tightly riveted together and precision ground so they are sharp and perfect for snipping the woody stems of herbs like Rosemary and Thyme. The bonus of putting scissors in an unusual place in the kitchen, is that you can quickly find them for other kitchen tasks. Here at New Soda – we have found ourselves using them regularly for opening packets when the kitchen scissors are in the dishwasher. …perfect for woody stems like Rosemary and Thyme. Recommended for indoor and partially covered outdoor use only.